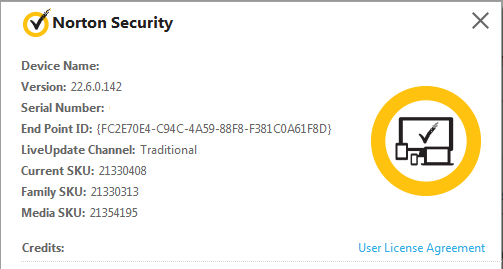 We have completed testing our latest update of Norton Security, Norton Security with Backup, Norton Internet Security, Norton 360, Norton Antivirus & Norton Security Suite 22.6.0.142 and have released the update. As with our previous updates, this version is being released in a phased manner. This update is now available in all supported language. To download it, simply run LiveUpdate.